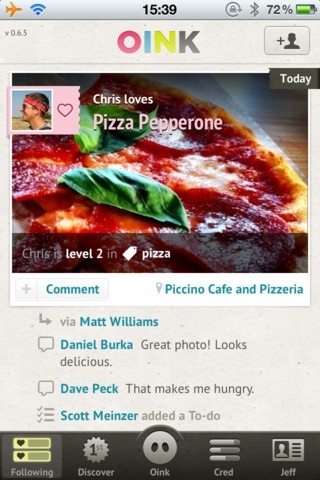 Milk has just launched their first app Oink, which lets you rate, rank and share the world around you. Oink is now available for download via Apple’s App Store. Oink is an easy way to rate and rank the things around you. Instead of just rating places, you rate the items inside. You could easily find the most popular items on a menu and see if a friend has tried anything there. Then if there’s something you like, it’s just a single press to rate it and share it with friends.